Birmingham has been named as the UK’s most entrepreneurial region outside of London and a ‘start-up hotspot’ – with more companies starting up here than any other UK city outside of the capital. The report by Start up Britain drew on last year’s Companies House data to assess where new companies were started across the UK. Birmingham led the table outside of London with 16,281 companies registered. This compared to Manchester, who in second place, saw 11,765 start ups and Glasgow who saw 8,085 new companies launch in the city. The latest Cities Outlook report from Centre for Cities appears to back these findings by showing a marked increase in private sector job creation in Birmingham since 2010. Birmingham ranks third behind the capitals – London and Edinburgh – with 15,400 jobs created over the period. Lucan Gray, owner of The Custard Factory and Fazeley Studios, which houses a growing cluster of the city’s creative and digital businesses, said: “We have seen a huge uplift in start up activity in recent months, evident in enquiries across both the Custard Factory and Fazeley Studios. Neil Rami, chief executive of Marketing Birmingham, which operates Business Birmingham, the inward investment agency for the area, said: “Birmingham’s start up success is not accidental. 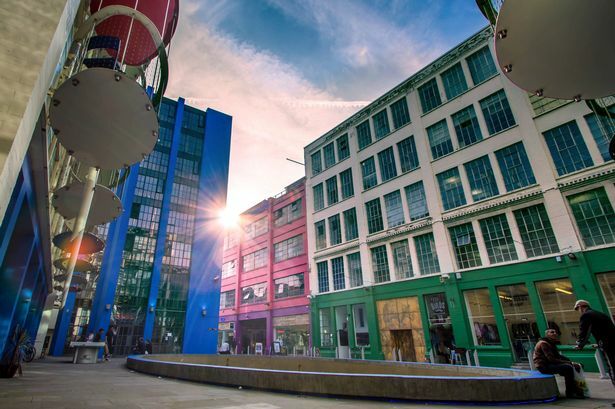 It is our innovative talent, ‘can do’ mentality, tailored support schemes and the fervent backing of our local business community, which combined with our proximity to the capital and affordability, makes Birmingham a start up hotspot. Sir Albert Bore, Leader of Birmingham City Council, said: “Eighteen months ago we set out to make Birmingham the UK’s enterprise capital. These findings demonstrate that we are well on the way, with Birmingham leading the way by some margin as the UK’s regional start up hotspot.